Always striving to innovate, the new x40 is a ground breaking loudspeaker system from Blue Aura. Elegant in design and sophisticated with its features, the x40 is a Bluetooth® compatible floor-standing loudspeaker.Each x40 can be discreetly placed either side of wall or cabinet mounted flat screen TV and connected using the supplied optical cable. Stream music wirelessly from tablets and smartphones using Bluetooth, made even easier if your device supports NFC. 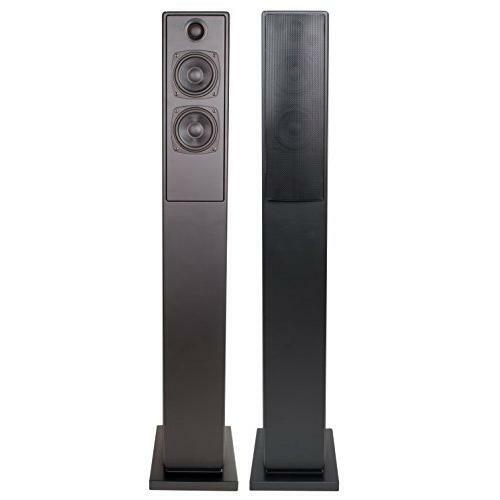 This slim-line floor standing design creates a new loudspeaker category for Bluetooth® compatible loudspeakers.